Box has a mission to enable customers to access and share data from anywhere. Today, it’s extending its reach on mobile devices with the launch of a new Windows Phone app. Box launched a new app for Windows Phone devices. 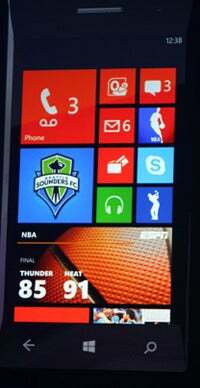 I spent a great deal of time using the Windows Phone platform, and I think it is an awesome mobile operating system. Unfortunately, it hasn’t been a blockbuster success, and its current market share compared to iOS and Android doesn’t really do it justice. I could almost forgive Box for not bothering to invest the time and effort to create an app for a mobile OS that represents such a small segment of the market. However, the fortunes of Windows Phone may soon change for the better. Microsoft is revamping almost everything from the ground up and rebuilding itself and its products to adapt to a mobile future. Despite the tepid response to Windows Phone thus far, it still has appeal to businesses--especially with BlackBerry continuing to fade from the picture. Microsoft has an opportunity to capture market share among business professionals who want more integrated, seamless access to Microsoft tools and services. The interesting thing about Box and Microsoft working together is that they’re also rivals. Microsoft’s SkyDrive cloud storage service competes with Box on some level, and it seems to be given priority on Microsoft mobile devices and applications. The early preview of Office 2013 and the new Office 365 still has Microsoft defaulting to SkyDrive for cloud storage. I still maintain that Microsoft should allow other services to integrate so that users can choose to default to SkyDrive, or Box, or Dropbox, or any service that puts in the effort to make the option available. If you have a Windows Phone smartphone, you can get the new Box app from the Windows Marketplace starting today.